Enjoy a full day of fishing with less than half the price when you book one of our Key West Split Fishing Charters. Getting the exact same service and experience at a much lower cost, doesn’t that sound like a good deal? This good deal is only offered here at Key West split fishing charters. Imagine being able to do big game fishing with top-of-the-line fishing equipment while being taught by the best fishing guide at a much lower cost. This package is really yours for the taking! 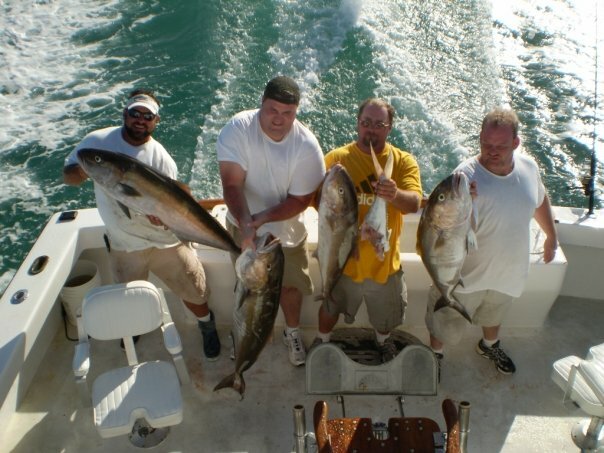 Split charters combine 2 smaller groups to share the same chartered boat and fish together. The charter fee is divided equally among the passengers. You lower your overhead cost, have a chance to meet new people on board, and learn how to fish from one another. That is what Key West Split Fishing Charters are all about. We want you to experience the adrenaline rush of big game fishing while not breaking your budget. While you are sharing the boat with another party, you will still have privacy because our charters only allow up to six anglers on a boat. This means your training with our professional fishing guide is still personalized. The guide will teach you how to bait the hook, cast the line, and reel in your catch. A suite of cutting-edge suite fishing electronics all but guarantees a successful trip. 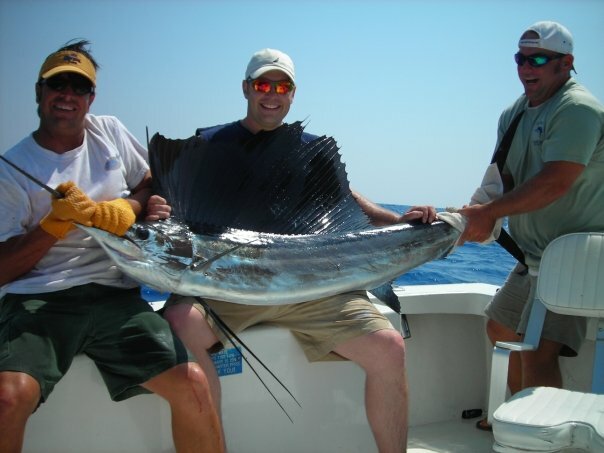 You can expect to catch Tuna, sailfish, Dolphin Fish, or even the elusive Blue Marlin. 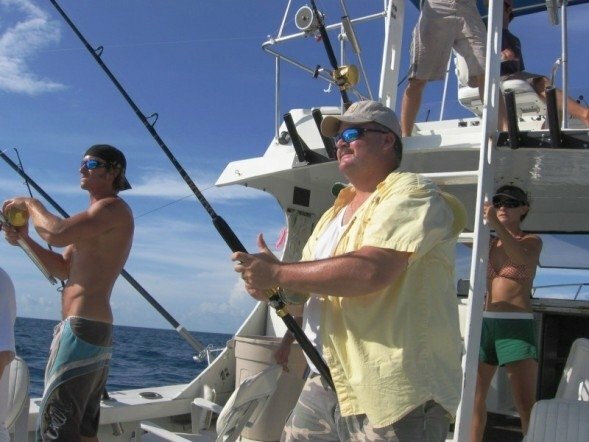 The fun and excitement never ends when you are fishing in the open ocean waters off Key West. We also assure you that all of fishing boats undergo regular maintenance and Coast Guard inspections. Boats in our fleet are powered by quiet 4-stroke engines so as not to disturb the marine life below. On board you have cushioned seats, ample shade, clean restrooms, a cooler packed with ice, and friendly service from our captain and guide. All in all, this is an incomparable offer only available at Key West Fishing Charters. To make this package even more enticing, we offer free pick-up and drop-off services for you and your party. So what are you waiting for? Check our website for details about the Split Charter Fishing package. One of our agents can supply you with all the necessary details. Choose from 4- or 8-hour charters, and once you have decided on the date, time, and duration, simply book your trip online and we will take care of the rest. All you need to do is travel down south to Key West and get ready to experience sport fishing Key West style! Check-in time: The captain with call you the night before to schedule pickup. No you do not. We have the required Florida Wildlife Commission charter licenses that cover all anglers fishing on our boats. If you had a great trip and are happy with the service provided by our Key West Charter Captain and Crew, a tip of 15-20% of the total trip cost would be very much appreciated. And remember to recommend us to your friends! How long are the Split Fishing Charter Trips? Our Key West Charter Guides and Captains can provide fun fishing for every angler from first-timer to expert. Whether you are a veteran sport fisherman looking to fine tune your game to Key West waters or a beginner just learning how to use a rod and reel, our Key West Guides are ready with friendly, patient advice and support. How many people can go fishing on a charter? We can handle parties of up to 6 anglers. Are food and refreshments included? Are alcoholic beverages allowed on board? Yes, mild alcoholic beverages like Beer, Cider, Hard Lemonade, Wine, and Wine Coolers are allowed. However, for everyone’s safety, NO GLASS CONTAINERS are allowed on board - metal or plastic containers only please. Yes, we provide the latest top-of-the-line fishing tackle available. In fact, our charters offer experienced fishermen a great chance to try out some top-notch gear. All fishing equipment is well-maintained, with line changed on a regular basis and terminal set-ups expertly chosen and tied on. Our gear is the best, but experienced fishermen are welcome to bring their favorite rod and reel if they like. Yes. Whatever the fishing calls for: live bait, frozen bait, cut bait, or chum, our Charter Captains will have plentiful supplies on hand. The same thing goes for artificial bait such as lures, flies, or plugs. For protection from the hot sun of Key West, it is always best to cover yourself as much as possible. Caps or sun hats, bandanas, sun glasses, and of course sun screen are all necessities. In the winter, it can be quite cool and breezy offshore, so a light weight jacket may be useful. For winter season early morning trips, a pair of light gloves can also add comfort. Bring a small day pack or duffel bag for your extra clothing, cameras, binoculars, and other necessities. Any footwear with closed-toes and non-marking soles will be fine.